Dr. Jossart has specialized in endocrine and metabolic diseases since 1993. Because bariatric surgery has been proven to cure obesity-related diabetes, he started performing the laparoscopic Roux en Y Gastric Bypass in 1998, during his fellowship in Laparoscopic Surgery. This early experience exposed him to a range of techniques that ultimately allowed him to perform Duodenal Switch and Sleeve Gastrectomy procedures laparoscopically. He has been performing these procedures since 1998 and on more than 3,000 patients. His interest in curing obesity and diabetes coupled with his expertise in laparoscopy have enabled him to help thousands of men and women to achieve their weight loss goals with the least amount of discomfort. He is one of the few surgeons worldwide who offers the full range of bariatric surgical procedures (Duodenal Switch, Sleeve Gastrectomy, Gastric Bypass, LAP-BAND®, REALIZE® Band, Band to Sleeve, Revisions) and most abdominal procedures laparoscopically. He has served as the Director of Minimally Invasive Surgery at California Medical Center since 1999. He is a diplomat of the American Board of Surgery and a fellow with the American College of Surgeons. He is a member of the American Society of Metabolic and Bariatric Surgery and the Society of Gastrointestinal and Endoscopic Surgeons. He is committed to helping the patient to make a fully informed decision and supporting them afterwards, and he expects the patient to follow all of the recommendations he provides. Together, the common goal of attaining the desired weight and alleviating medical problems can be achieved. Dr. Jossart’s patients appreciate his eagerness to listen to their individual concerns, his ability to provide the kind of guidance that can only come from an exhaustive knowledge of their choices, and his commitment to see them through their post-surgical challenges. Dr. Jossart’s philosophy is one of accountability—for both patient and surgeon. 1) Rosenthal R, Jossart GH et al. International Sleeve Gastrectomy Expert Panel Consensus Statement: est practice guidelines based on experience of >12,000 cases. Surg Obes Relat Dis. 2012 Jan-Feb; 8(1):8-19. 2) Holty Je, Parimi N, Ballesteros M, Blackwell T, Cirangle PT, Jossart GH, Bravata DM. Does Surgically Induced Weight Loss Improve Daytime Sleepiness? Obes Surg. 2011 Oct; 23(10): 1535-45. 4) Valentine AR, Raff H, Liu H, Ballesteros M, Rose JM, Jossart GH, Cirangle P, Bravate DM. Salivary cortisol increases after bariatric surgery in women. Horm Metabl Res. 2011 Jul; 43(8):587-90. 5) Jossart GH. Complications of Sleeve Gastrectomy: bleeding and prevention. Surg Laparosc Endosc Percutan Tech.2010 Jun; 20(3):146-7. O’Brien B, Jossart GH, Ito Y, Greulich-Bode KM, Weier JF, Munne S, Clark OH, Weier HU. Chromosomal Rainbows Detect Oncogenic Rearrangements of Signaling Molecules in Thyroid Tumors. Open Cell Signal J. 2010;2: 13-22. Lee CM, Cirangle PT, Jossart GH. Vertical Gastrectomy for Morbid Obesity in 216 patients: report of two-year results. Surg Endosc. 2007 Oct; 21(10): 1810-6. Kurian MS, Gagner M, Murakami Y, Andrei V, Jossart G, Schwartz M. Hand-assisted Laparoscopic Donor Hepatectomy for Living Related Transplantation in the Porcine Model. Surg Laparosc Endosc Percutan Tech. 2002 Aug; 12(4): 232-7.
de Csepel J, Burpee S, Jossart G, Gagner M. Laparoscopic biliopancreatic diversoin with a duodenal switch for morbid obesity: a feasibility study in pigs. J Laparoendosc Adv Surg Tech A. 2001 Apr; 11(2):79-83.
de Csepel J, Jossart G, Salky BA. Laparoscopic Resection of an extraesophageal leiomyoma presenting as an intra-abdominal mass. Surg Laparosc Endosc Percutan Tech. 2001 Apr; 11(2): 116-8. 1) 09/88-05/89 Medical Student Research Project University of Minnesota Medical School Scott Gruber, MD, Robert Cipolle, Pharm.D., & Daniel Canafax, Pharm.D.Context: Local immunosuppression in canine renal allografts; heparin pharmacokinetics; and reviewing the incidence of malignancy in transplant recipients. 2) Jossart GH. The Sleeve is now up in the chest. ASMBS Obesity Week-end. Las Vegas, Thursday, June 23rd, 2015. 3) Jossart GH. Sleeve and Hiatal Hernia Repair. Live Surgery. International Consensus Summit for Sleeve Gastrectomy. Thursday, December 6th, 2012. 4) Jossart GH. Routine Hiatal Hernia Repair to Avoid Reflux. International Consensus Summit for Sleeve Gastrectomy. Friday, December 7th, 2012. 5 ) Jossart GH. Long Term Outcomes after Sleeve Gastrectomy. Michigan Bariatric Society, 5th Annual Meeting. Ann Arbor, Friday, November 2nd, 2012. 6) Jossart GH. Staple Line Management to Prevent Stenosis and Bleeding. ASMBS 3rd Annual Fall Educational Event. Las Vegas, Friday October 25th ,2012. 8) Jossart GH. The Sleeve and Diabetes Mellitus. Postgraduate Course: Metabolic Surgery and Cure of Diabetess. SAGES, Thursday, March 12th, 2012. 9) Jossart GH. The Sleeve as a revisional/rescue procedure. ANZ Sleeve Gastrectomy Symposium (ASGS). Sydney, Australia. November, 20th-21st, 2009. 10) Jossart GH. How I do the Sleeve-Technical Aspects. ANZ Sleeve Gastrectomy Symposium (ASGS). Sydney, Australia. November, 20th-21st, 2009. 11) Jossart GH. If I can do them all, why do I prefer the Sleeve. ANZ Sleeve Gastrectomy Symposium (ASGS). Sydney, Australia. November, 20th-21st, 2009. 12) Jossart GH. Preventing, Recognizing & Managing Sleeve Complications. ANZ Sleeve Gastrectomy Symposium (ASGS). Sydney, Australia. November, 20th-21st, 2009. 13) Jossart GH. The Sleeve Gastrectomy: Pearls and Pitfalls. Tennessee Chapter of the ASMBS. Nashville, TN. November 13th, 2009. 14) Jossart GH. The Sleeve Gastrectomy: Patient Selection and Follow up. Tennessee Chapter of the ASMBS. Nashville, TN. November 13th, 2009. 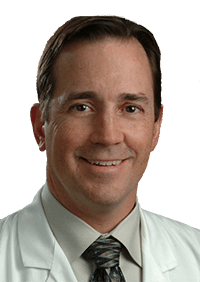 Gregg H. Jossart is the Director of Minimally Invasive Surgery (1999-present) Advanced Laparoscopic and Endocrine Surgery. He operates from the California Pacific Medical Center located in San Francisco, California.